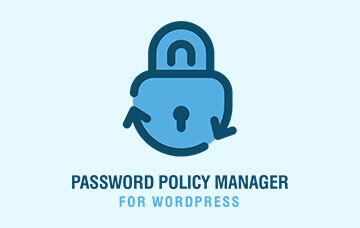 We released the first version of the Password Policy Manager for WordPress around three months ago. Since its released we received some valuable feedback and the plugin has been featured on some of the leading WordPress sites, such as Torque Magazine. 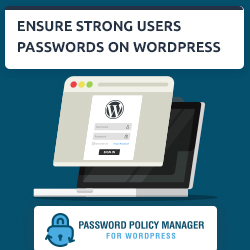 We’ve listened to all the good feedback and today we are happy to announce an update for Password Policy Manager for WordPress. This post highlights the new feature and what is new and improved in version 1.1 of our plugin. With this update you can configure different password policies for different WordPress user roles. This feature is very useful if you have a subscription or a WooCommerce WordPress site and you want to ensure your shop managers and editors use strong passwords but do not want to hassle your customers and subscribers. In this new version you also have the option to disable password policies for a particular user role as well. 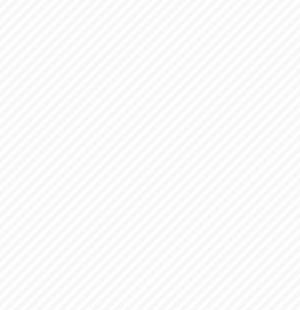 In the first version of the plugin we did not have support for updates. So when upgrading to this version (from 1 to 1.1) you will have to reconfigure the password policies. 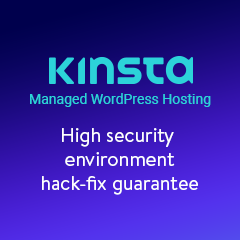 However in this version we did implement support so whenever you will be updating the plugin version in the future, all the settings and password policies will be retained. The plugin’s settings have all been moved to a new Settings tab. From here you can exclude a user from the password policies, configure email and database settings and more. We have quite a few features planned for our password policy plugin for WordPress, such as support for multisite networks and integration with our activity log plugin for WordPress. However we want to hear from you about what features you would like to see in this plugin. If you have an idea, want to send us feedback, or simply would like to get in touch, use our contact form to reach out. We’re looking forward to hearing from you!